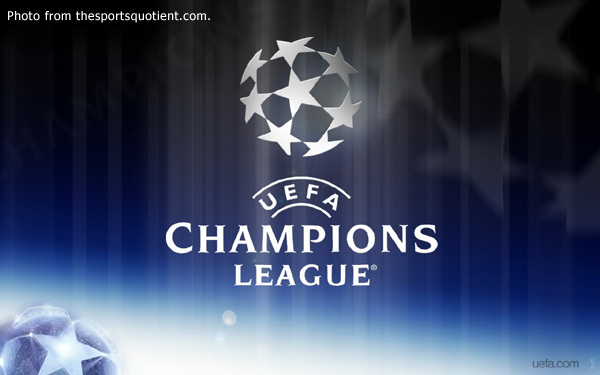 Home / Football / Bayern München or Borussia Dortmund for the Champions League? Bayern München or Borussia Dortmund for the Champions League? How many teams, pray tell, can go to the Camp Nou and come away with a comprehensive victory over the hosts, in the UEFA Champions’ League semi-finals, no less? The tie, it may be argued, has been won at the Allianz Arena in Bayern München last week. Indeed, the 4-nil cushion that the Bavarians built at their own stadium always seemed, for the Catalans, a more insurmountable peak to conquer than Everest. But the 3-nil victory to complete 7-nil aggregate rout over one of the Europe’s most celebrated club sides is nothing if not phenomenal. The mystique that has surrounded Barcelona since the Pep Guardiola years was blown into nanobits and reduced to the status of myth. Now, fewer European sides will arrive at the Camp Nou cowering in fear. Barça, it may be argued, were beset with misfortune at that point in the season when fortune is needed most. Messi played at the Allianz and did a passable impersonation of the Invisible Man. At the Camp Nou, hamstrung as he was, he was not even called in for a cameo. Busquets, the unsung hero who allows the Iniestas and the Messis of the world to flourish further up the field, joined the long list of casualties for the Catalans which already included, apart from Messi, the likes of Mascherano, Puyol and Abidal. Bayern ought to be favourites; and deservedly so. On the other hand, they are also the Heartbreak Kings of the Champions League. United and Chelsea, after all, will have not just a little to say about the Bayern’s cup final day temperament. In the end, it was Bayern’s total lack of fear, doubtless anchored on the handsome lead they brought with them from Munich, that made the difference. When Barça pressed, the Germans nonchalantly wove themselves out of tight spaces with neat flicks and touch passing. When the Catalans had the ball, Bayern repaid their hosts the favour by swarming all over the man on the ball, sometimes with as many as three or four at a time. The football on display at the Camp Nou was a study in contrasting styles. Barça, as was their way, passed and passed to find the spaces that would unlock the Bayern defence. The premise of this, or so the pundits say, is to wear out the legs of defenders so that they will lose momentary concentration; enough, at any rate, for the attacking team to exploit. What the pundits do not say is that defending collectively is immeasurably easier to do than all-out attacking; or, that is, if a team knows how to. This requires organisation, positional discipline on the part of every player and stamina. That Bayern know how to defend collectively, we now all saw in the two legs of the semi-finals. But Bayern are not a defensive team, far from it! They are a team that gets everybody behind the ball and keeps tight shape when they do not have possession; and then quickly springs forward in fluent motion the moment the possession is gamed. Wbere Barça could not match Bayern was in the quickness of the latter to transition back to defence the moment an attack floundered; and the way the two teams were defending, one would think that it was Barça who had the 4-goal cushion. Barça’s tiki-taka is lovely to watch when the team is on song. At the Camp Nou, Bayern’s approach was more straightforward but as lovely as anything that their hosts, in their heydey, could muster. At times, Bayern’s quick interpassing – forward, and frequently culminating in shots at goal – was simply breathtaking. Now that a German invasion of Wembley Stadium in London is guaranteed later this month, the talking point naturally swings to which of the two German clubs will actually win it. On the basis of form in the semi-finals, I will say Bayern hands down! Despite coming away from the Westfalenstadion with a 4-1 victory over Real Madrid, Dortmund did not look as fluent and convincing as the Bavarians in their return leg at the Bernabeu. In fact, if Higuain was not having such a wretched night, the Spaniards could well have completed a remarkable comeback. On the other hand, Bayern were so fluent at the Camp Nou that one wonders if the team might have peaked one round too early. Playing the second leg of a cup tie already 4-nil up is also one thing; but a one-off final is another thing altogether. When the two German clubs renew their rivalry at London’s historic stadium, the score will start at 0-0. The final will be as much Dortmund’s to win as it is Bayern’s. Bayern will still be smarting from having lost to Chelsea at their own stadium in last year’s final and will be anxious to rectify this anomaly. Dortmund, on the other hand, only has its 1997 victory over Juventus to show and will be just as anxious to add one more trophy to the display room. The fact that two German teams will be contesting the final means that neither side will need to feel each other out in the opening exchanges at Wembley. Both will be all too familiar with each other. Bayern narrowly shaded the two clubs’ Bündesliga encounter at the Allianz late in February, 1-nil. The two clubs face off again at the Westfalenstadion this Saturday in what is said to be a dress rehearsal for the Champions’ League final. Whichever way Saturday’s encounter goes will hardly offer a portal into what happens at Wembley later this month. Reputations and league form, after all, count for naught in cup finals. On the other hand, Dortmund are not an English club.